My first experience with taiko was a parent-child workshop led by Karen Tingey when I was 4.5 years old. 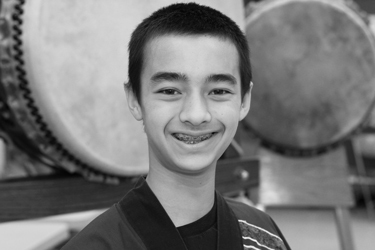 After several years of classes, I performed with Tanuki Taiko and Portland Taiko at Mochitsuki in 2013. In addition to taiko and piano, I also enjoy playing soccer and curling.